As the story’s Old Money bigoted jerk, Luhrmann gave Buchanan a veritiable shrine to his athletic prowess, complete with portrait of himself. The room is spectacularly stylish, with vivid blue walls, checkerboard floor, and brown woodwork. It positively scintillates with trophy cups, a kind of Ali Baba’s cave of a champion polo player. It also feels like the hall’s temperature, like Tom’s heart, is rather cold. Fitzgerald’s model for Buchanan, Tommy Hitchcock, is a far more likeable and fascinating man. 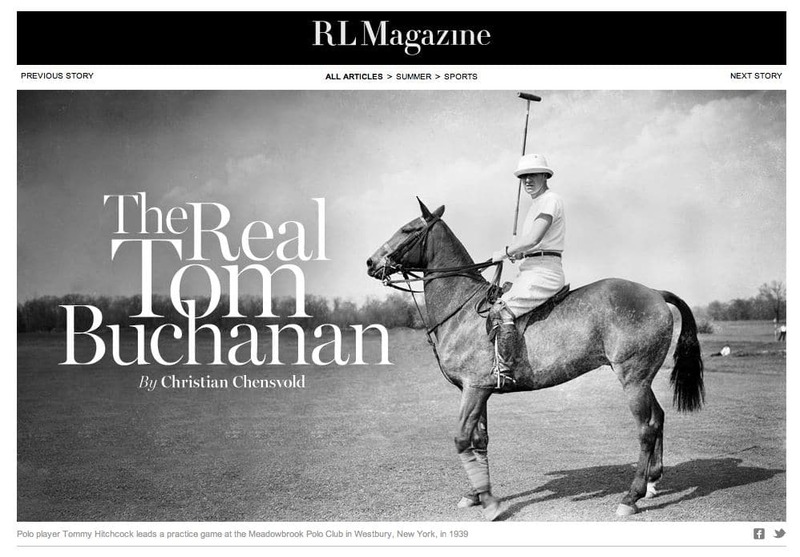 Here’s a piece on him I did for Ralph Lauren Magazine at the time the film came out.